In summer 2018, the 72nd General Assembly of the United Nations in New York will decide on Germany’s application for a seat on the Security Council in 2019 and 2020. Germany’s application for one of the non-permanent seats was announced in June 2016 by then Foreign Minister Frank-Walter Steinmeier. 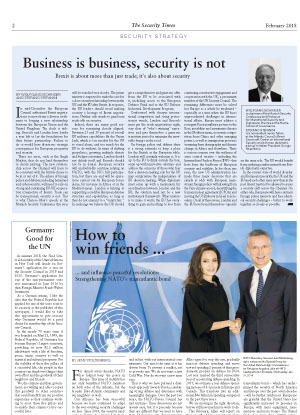 As a German citizen, I like the idea that the Federal Republic has applied for one of the seats soon to be vacated; as the publisher of this newspaper, I would like to take this opportunity to give reasons why Germany would be a good choice for membership of the Security Council. 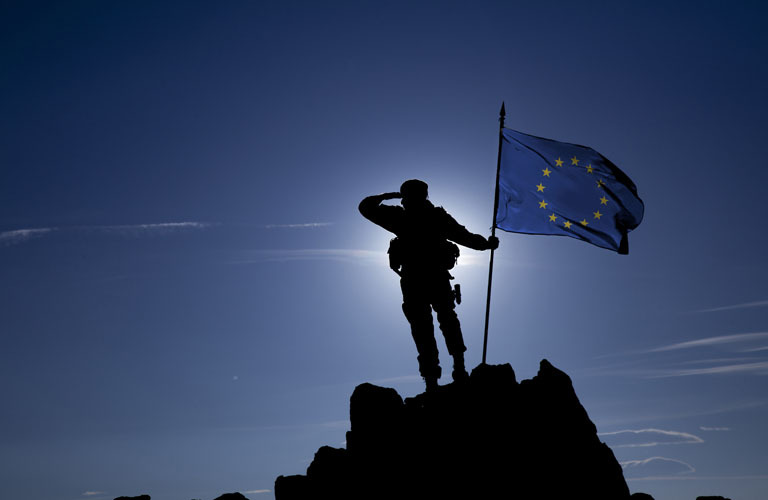 In the nearly 70 years since it was founded on May 23, 1949, the Federal Republic of Germany has become Europe’s largest economy, providing its now 82.5 million inhabitants with a life of freedom, peace, unity, security as well as material and cultural prosperity. For the stability of these five pillars of a successful life, the people in this country can thank two things: their own effort and the goodwill of their neighbors and friends. We, the citizens and their government, are willing and able to repay this goodwill to other countries that could benefit from our positive experience as they continue working to erect those five pillars and to enable their citizens to live successful lives. Freedom: All is nothing without it. Peace: All is in doubt without it. Unity: There is no peaceful coexistence without it. Security: There is no peace without it. Prosperity: There is no dignity without it. But how does it all work? Tackle each goal separately, and then all of them as a whole? In facing this conundrum, Germany can apply and share its nearly 70 years of knowledge and experience. Our country’s membership of the United Nations Security Council would be a smart choice. It is precisely in unsettled times like these – and certainly in the next two years to come – that Germany would be perfectly suited to the UN Security Council. is the publisher of The Security Times.